Strong and persistant, fresh and light at the same time. Rich notes of fruit. Complex, balanced and delicate. 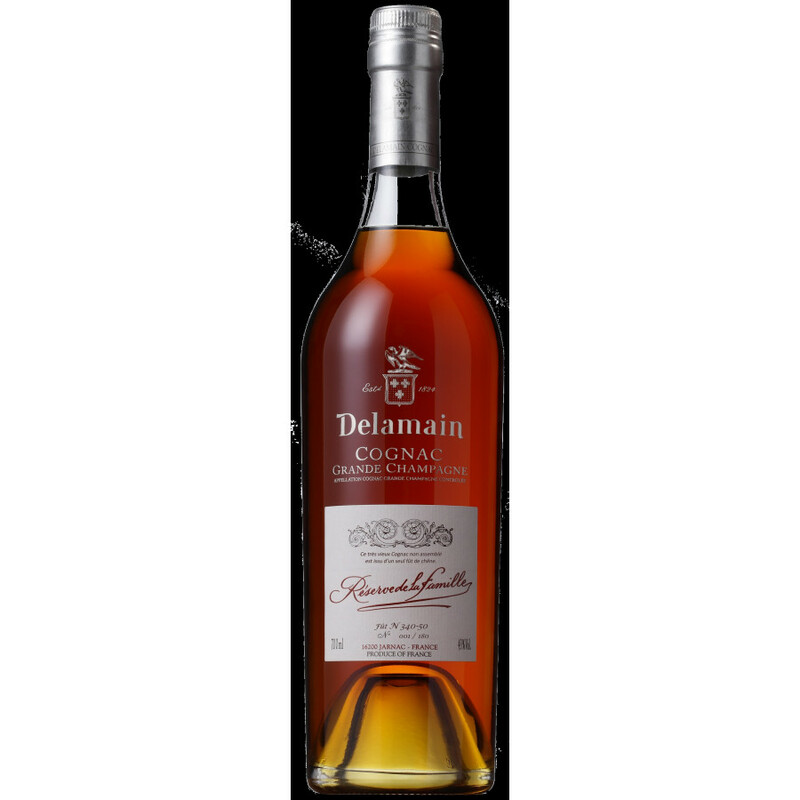 This Réserve de la Famille Cognac from Delamain is a limited edition with 180 bottles. 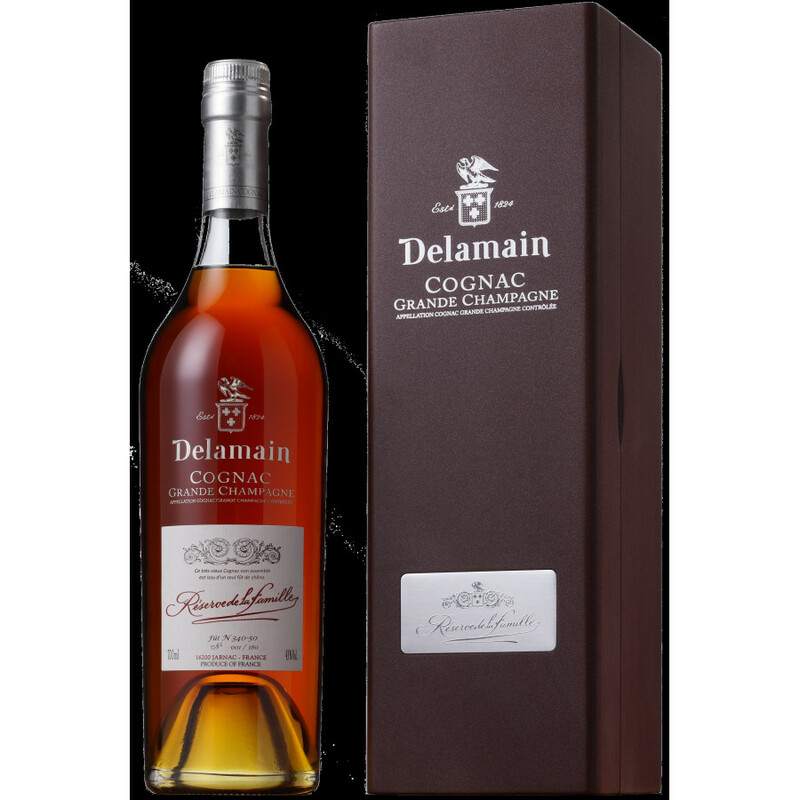 The cognac is very old (très vieille eau-de-vie) and was aged in a very old cask - it is not a blend. The ABV of this old cognac is at 43%. The eaux-de-vie originate from a bouilleur de cru in the heart of the Grande Champagne, then was aged in the cellars in Jarnac, finally bottled in 2010. 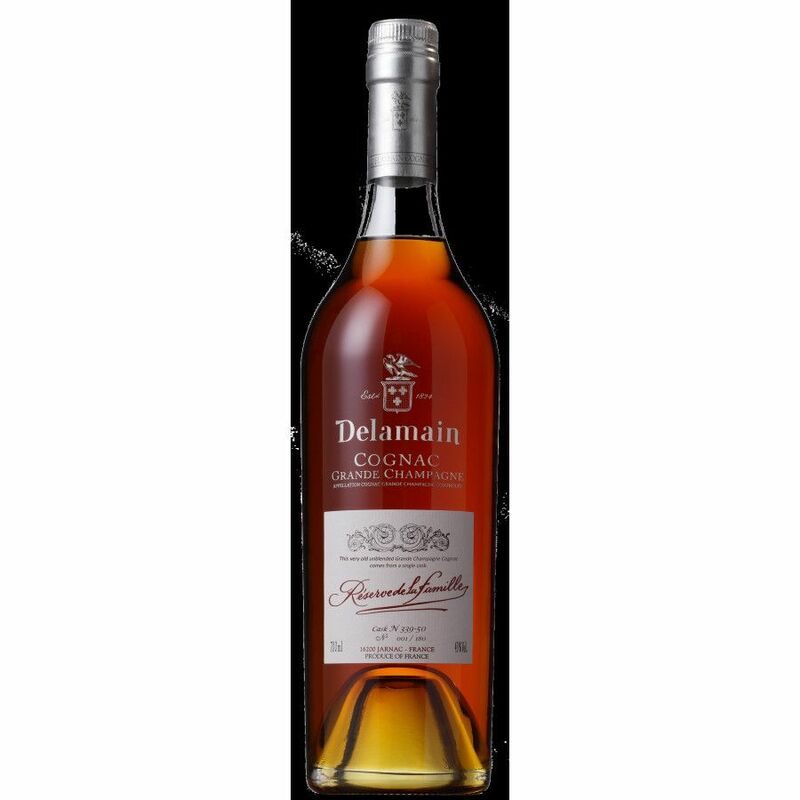 This cognac is as its peak in terms of ageing. First of all, wonderful website. And it's a delight that you've got the cognac shop going now. I have a question regarding Delamain "Réserve de la Famille". The image of the bottle you are selling is a bit different to other pictures of the bottle one can find elsewhere on the internet where the bottle etiquette is all white. Quick seach on google-images an you will see it.Are there any differences between the two bottles other than the etiquette?With a little more search I also found out (as you wrote) that the one I referred to was the look of the "old" bottle.I seem to have discovered that the Réserve de la Famille comes in to different varieties - the one you are selling is a limited edition with only 180 bottles produced as written on your website.By looking at pictures and writings I see there is also a more "common" one produced with a "high" number - as in there is "a lot" of bottles produced and it's not limited - although rare. And now for my question: Do you know if there is any noticeable difference in aroma/palate etc. between the "limited one" and the more "common" one.